GIVING BACK to our sport and community. Standardbred horse racing positively impacts the Pennsylvania economy in wide-ranging ways. 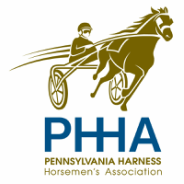 At the Pennsylvania Harness Horsemen’s Association, we are committed to spurring growth, maintaining our state’s leadership position in argi-business, driving local investment and, of course, cultivating new generations of Pennsylvania horsemen to carry on the traditions of our sport. Improving equine health and enhancing integrity assurance is at the forefront of our philanthropic efforts. The PHHA is proud to support the New Bolton Center for Equine Research at the University of Pennsylvania, the world’s largest equine surgical facility. We collaborate with, and provide financial support to, numerous horse adoption agencies to ensure that retired standardbreds make the transition from the track to forever homes, farms and equine therapy organizations. We also encourage the sensible management of breeding stock to cultivate a marketplace that rewards quality, not quantity. Harness racing will rely on the next generation to guide its future. That’s why the PHHA supports The Harness Horse Youth Foundation and offers our own James Manderino Scholarship for college students who are driven to forge a career in harness racing. As with all of our initiatives, we believe the work must start at home. That’s why we strive to support equine therapy groups serving diverse populations including Marley's Mission, Leg Up Farm, Horses 4 Heroes and Equi-Librium as well as non-racing related organizations helping the communities our members and fans call home. Creating positive results means going beyond mere checkbook philanthropy. We work closely with our grantees to ensure that our involvement results in genuine positive change and measurable results. It’s the difference between giving a dollar, and making every dollar work like two.